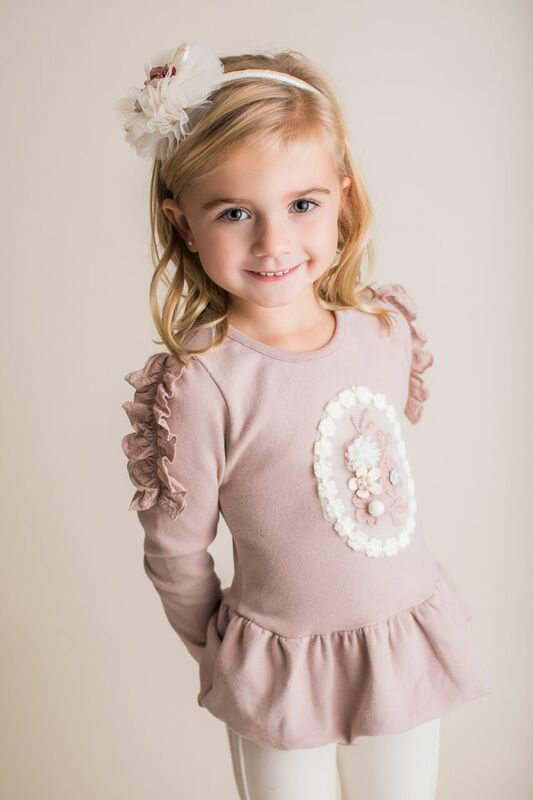 Soft and cozy mauve embellished heavy top by Maeli Rose. This adorable tunic knit sweatshirt like, top is amazing! It has a delicate floral motif for a dressed up look. 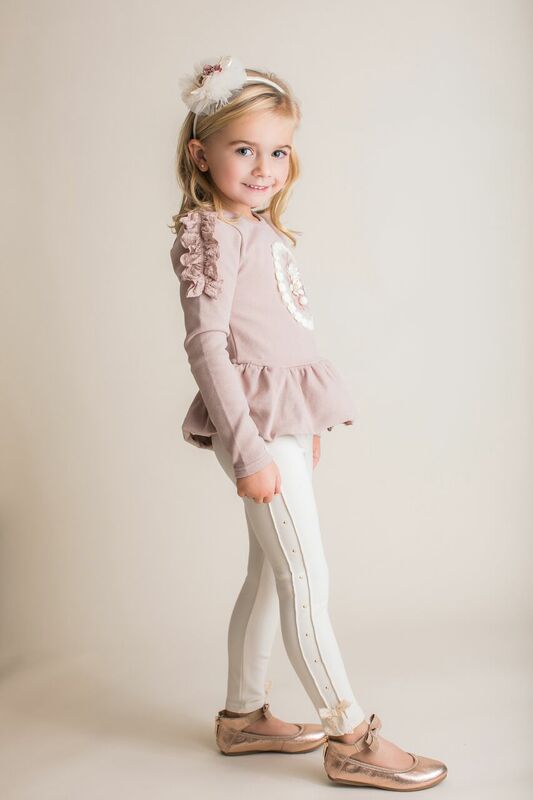 The fit is fitted and longer in length with a sweet peplum hem. Pair this with our cream or black leggings for a fabulous back to school look! All pieces are sold separately.